A magical, poetic and burlesque show with live music. The metamorphoses of a life exposed before our eyes, in a dynamic, delirious, unusual and hallucinatory way! With: Estelle Charlier and Martin Kaspar Läuchli Artistic direction: Estelle Charlier Direction: Romuald Collinet Directing collaboration: Pavlina Vimmrova Music: Martin Kaspar Läuchli Text and outside eye: Romaric Sangars Lighting design and technical direction: Anthony Lopez Puppets and scenography: Estelle Charlier, Romuald Collinet Technician: Anthony Lopez / Andi Luchsinger Photography: Estelle Charlier, Tomáš Vimmr Production: Théâtre de l’Homme Ridicule Co-production: Le Tricycle Grenoble Supports: Conseil Général de l’Isère, SPEDIDAM, Ville de Winterthur Suisse, Théâtre du Temple de Saillans, La BatYsse, Espace Culturel La Buire à L’Horme, Ateliers de Couture et de Construction de la Ville de Grenoble Technique: Full-view manipulation, string puppets, glove puppets and shadows Language: Some words in French, with Portuguese subtitles For audiences over: +9 Running Time: 50 min. The big imaginary machinery they are activating together strangely looks like the one which presides over our destinies: this weaving loom that the Ancients believed it belongs to the three Parcae - Tria Fata - where the threads of our lives are weaving, uncoiling and breaking. It is in this way that an old woman is facing Death. Her time has come as soon as the show begins. To set the date for payment as late as possible, that one suggests to this one to deploy the panorama of her life in fastmotion. In this way, the audience member is led to consider all the metamorphosis of a life exposed before his eyes, in a dynamic, exuberant, unusual and hallucinatory form. From birth to death, from childhood to love: game, high-wire, images, fire - a large kaleidoscope is swirling before the extinction, moving from one threshold to the other, in the shine of unlikely figures. 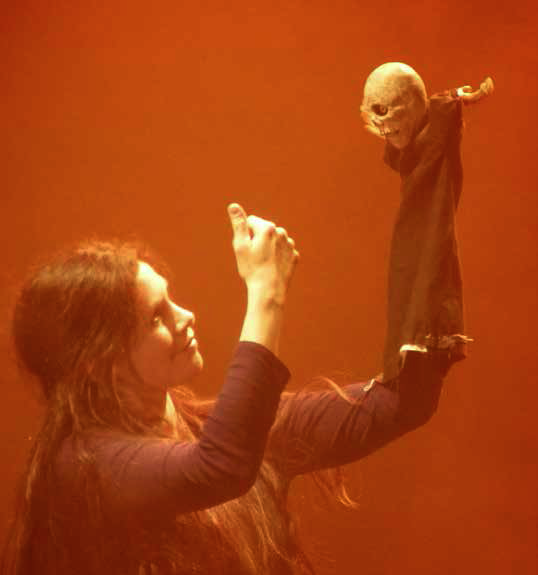 All the emotions and seasons are offered at the mercy of a Russian dolls dramaturgy, where the old woman’s acting falls in with the one of the actors, itself resulting from the Parcae’s one, in such a way that the puppet is then presented - depending on the more striking relief - as a universal symbol of humanity. 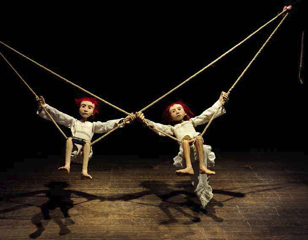 Tria Fata is the result of long researches in puppetry, La Pendue Company having explored the ambivalent relationship the puppet can develop with its creators-manipulators, the strong symbolism it is able to emerge immediately, as its “weightlessness point” between inanimate and living things. 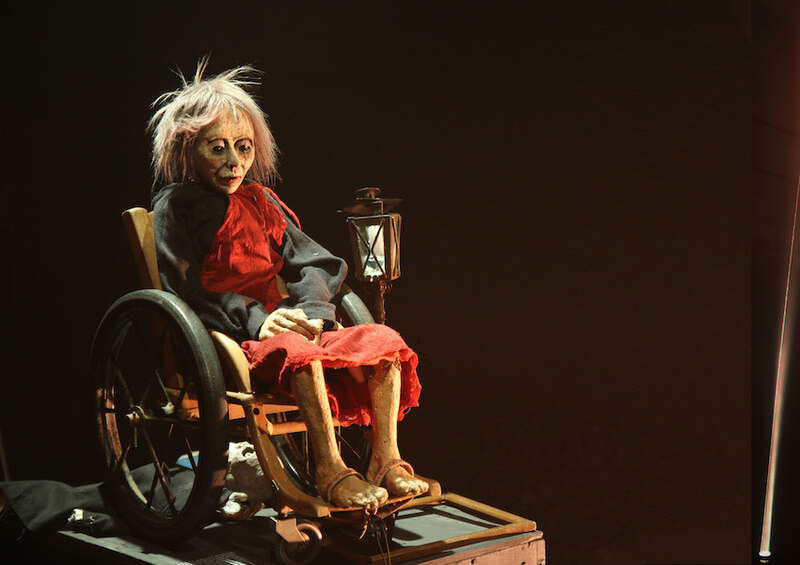 This show, magic and technical, poetic and burlesque, aims, among other goals, to break down all the prejudices which clutter up the surprising liberty of the puppet. This liberty is giving free reins to its imagination within the musical atmosphere developed by Martin Kaspar Läuchli in response to Estelle Charlier’s acting. 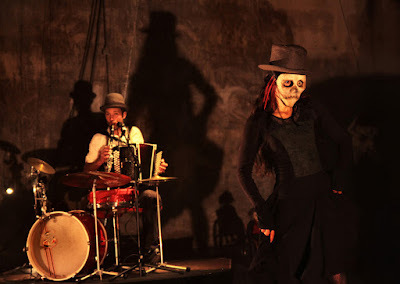 And if the first is a one-man band alternating the instruments, (clarinet, bass clarinet, accordion, drums, voice), the second one is a woman orchestrating the most diverse forms, manipulating, playing, wearing different masks – both of them doubling their own multiplicity, with the intention of delivering a true oneiric vertigo where puppets, humans and great archetypes are mutating and inverting for the greatest resonance of mystery. "(...) It's the TLC's choice for this edition of Chalon Dans La Rue, Tria Fata, by Cie La Pendue, a small jewel with puppets and a fantastic musical accompaniment. Moving, burlesque, deep and powerful. Absolutely not to be missed! "A day in the life of Madame Death ... does it seem tempting? Before I reveal the fundamentals of the magnificent performance by the adult puppet company, La Pendue, let me tell you more about this innovative company (...).With Tria Fata, they (...) offer us a unique show, which mixes puppets manipulated by the actress, comedy and tragedy, shadows and lights games, under the yoke of penetrating music. These elements have the purpose of making us dream, laugh and cry through the accelerated existence of an old lady ready to follow her destiny (...). A show full of joyous melancholy to see, absolutely!" 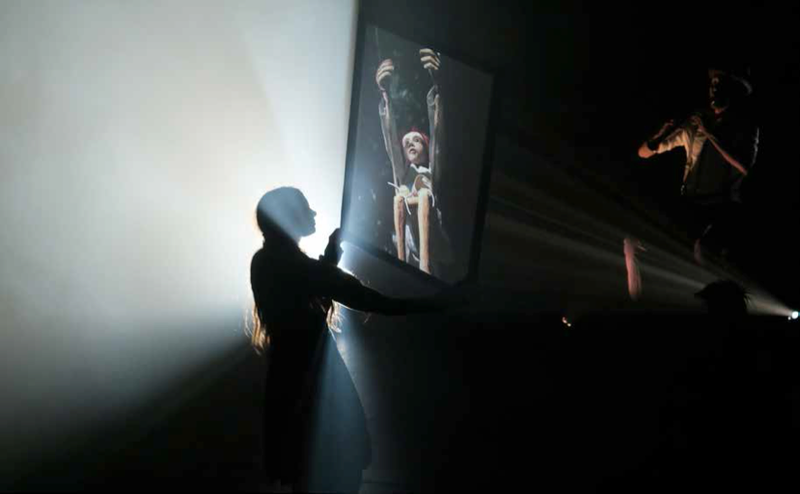 “The huge applause of a moved and charmed audience was felt ... in the first presentation of Tria Fata. (...) This new show by Cie La Pendue is of a rare emotional intensity (...). Estelle Charlier's puppets, touching and expressive, seem to have a life of their own. 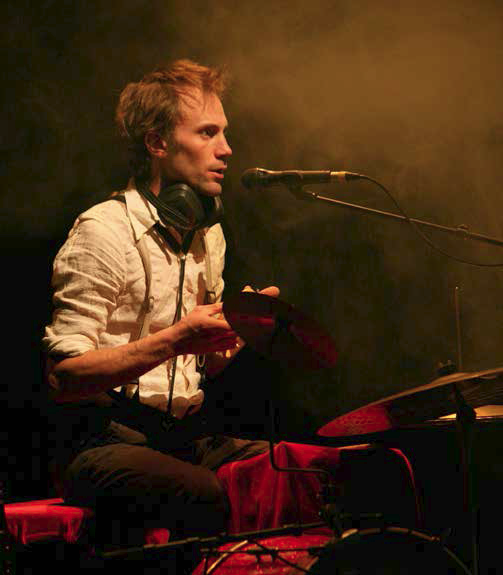 The musician Martin Kaspar Lauchli accompanies magnificently this fascinating show." La Pendue was created in 2003 in Grenoble by Estelle Charlier and Romuald Collinet, two former pupils of the École Supérieure Nationale des Arts de la Marionnette de Charleville-Mézières (ESNAM). The company is managed by Le Théâtre de l’Homme Ridicule, and it has built its workshops, its yurts, and its rehearsal room on the heights of Grenoble. 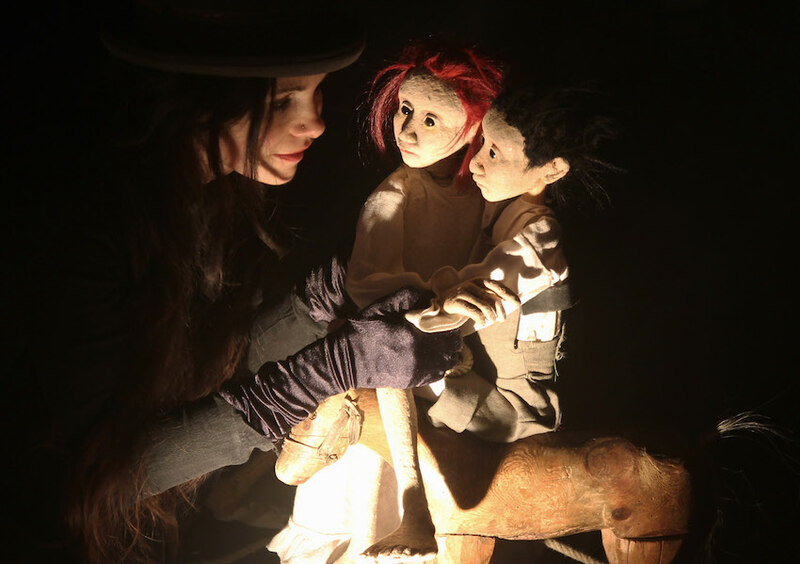 - Traditional glove puppet productions inspired by the four-hundred-year-old character Polichinelle (Pulcinella), through the show Poli dégaine. 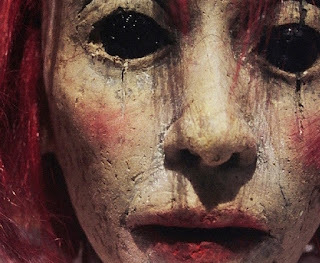 - Contemporary work which experiments with different puppetry techniques (string puppets, shadows, and other techniques still uncategorized). However, these two lines agree on the essential: revealing the original human by means of his acting.